Denary coin. Western Europe. Silver. 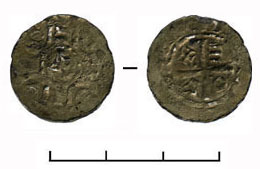 Western coins as arabic ones were also in use in mediaeval Rus'.